When the system is designed – the heat pump is sized according to the kWh demand of the property, which is in turn calculated from U values. Generally, the installers will connect the system, run through the steps of commissioning and switch the system on to heat. At this point the customers are convinced the heat pump is working and start to enjoy the production of hot water and heating. With a budget heat pump price of approximately £1K – £4.5K, and 2/3 days installation costs many consider £7K – £8K a reasonable range of cost to install a heat pump. For some – this is in fact where the difference of opinion starts to occur. What loom’s in the not too distant future could be problems with some systems which should not have been a simple exchange. I mention Budget Heat Pumps as there are many out there who supply heat pumps within this price range. We as installers – can and will install these systems if the customer specifically requests, however, the majority of systems we design and size are actually nearly double this cost due to the cost of the heat pumps and additional costs of making good etc. As being suppliers and installers of quality heat pumps, our preferred product range is actually in the price range of £6K – £20K+ plus the cost of installation. If you couple this with the fact that the radiators will most likely need changing to ensure the system runs efficiently and smoothly, the true cost of the heat pump is then in the range of £10K – £25K for an average system which is specified with a good quality heat pump, and by the end of the true cost of the project i.e. making good etc. Many customers also decide they want the heat pump installed into the garage, so if the boiler is removed from the kitchen and pipe-work is taken into the garage, there are many factors of re-piping and making good the fabrics after following installation. Again, these add to the heat pump project cost. Whilst some people appreciate that when they buy a “budget heat pump” they consider all equipment to be as good and as equal, if you analytically crunch the numbers for running costs and efficiency / water heat up times, they are actually worse off than if they had spent an additional amount on the initial cost of the kit. As mentioned, some properties are lucky enough to have correct “oversized” radiators installed in the first place, where as many are not. The lower the flow temperatures from your heat pump, the greater the radiators need to be oversized. Therefore, if a heat pump was £1K more than one you were considering, would you get away without changing the radiators as the new heat pump flow temperatures would suffice on existing radiators? Your installer can carry out these calculations. What is the heat up times of the water in the tank from cold, and re-charging times? How much auxiliary running power is required and to what temperature is the hot water is produced? How efficient is the system with and without the external circulation pump factors etc..? From what external temperature is the auxiliary heat required? Even if you never request this, they should provide you with a design report from which these key queries can be calculated. I hope this provides a useful guide to anyone who is thinking of having a heat pump installed. I found the article you wrote to be very interesting, and would like to elaborate a little on some of the points that you raised. Clearly, there are fundamental differences between heat pumps that the public often do not see. An installer will quote for a project, and all the customer is drawn too is the price and perhaps the size of the domestic hot water tank. Thus, here are a few factors that I feel are relevant when considering buying an air source heat pump. Firstly, I would always certainly ensure that the heat pump you are buying is a purpose built heating solution, and not an air conditioning unit reversed. With a little homework, it is not hard to ascertain which companies manufacture air conditioning units, and have seen a niche in the heat pump market. These products are often identified by their refrigerant that they use for the heat transfer. Most air conditioning units run on R410A. This refrigerant is a high-pressure refrigerant, and has such is only capable of working within certain temperature ranges. However, when a heat pump is tested according to EN14511, they are tested when the outside air is 7oc, and the heated water coming from the heat pump is only 35oC. Under such conditions, most air systems using R410A perform relatively well, and the CoP’s will look quite good. However, what companies marketing these products are reluctant to inform you is how they perform when the outside air gets to 0oC or below. Once the air into the heat pump using R410a starts to drop, the actual performance of a heat pump drops too. Consequently, you could have a 14kW heat pump installed in your property, which is only delivering 7kW when the outside air is at -3oc (this information came directly from a manufacturer of a well-established products representative). Additionally, as the R410a is a high-pressure refrigerant, the compressor and condenser within the unit cannot provide the high temperatures that the property requires to supply the heating and domestic hot water, when the heating is required the most. Thus, overall, what you will find with a budget air source heat pump is that when the outside air is below 0oC, the heat pump is perhaps delivering a flow temperature of around 35 to 45oc, and this water then needs to be boosted with a flow boiler. These flow boilers can be anything from three to 15kW, thus costing between 36p and £1.80 an hour to run supplement what is meant to be an energy saving heat pump. Thus, when choosing a heat pump, it is advisable to purchase one from a company who manufacture heating solutions, especially those whom manufacture in Scandinavia, and are using refrigerants such as R407c or R404a or even R134a. These refrigerants operate at a lower pressure, and thus cope better when the outside air is cold. Do not be afraid to question your installer about the refrigerant used in the products they supply, and ask them about the performance of the unit when the outside air is below 0oc. Suteesh, as you clearly mentioned, hot water production is clearly an important consideration when purchasing a heat pump. Most people whom purchase a heat pump do so in order to both heat their homes and provide hot water for baths and showers. It is well documented on many web sites, that heat pumps perform well whilst producing low temperatures for heating systems such as underfloor heating. Thus, clearly, the most difficult part of a heat pumps role is to produce domestic hot water at temperatures in excess of 50oC, which most people feel they need in their hot water tanks. Thus, extra care should be taken to ensure that a heat pump can provide the temperatures they require without using the electronic back up heater as a boost (except of course for the legionella cleansing). Many of the quality air source heat pumps on the market are capable of providing hot water in excess of 52oC when the outside air is as cold as -16 and some even when the outside air is -20 without the use of an electric flow boiler to top up the temperatures. Additionally, as you clearly mentioned, recharge times are important. There is a major difference between the recharge times on domestic hot water. This will vary even with the same manufacturer depending on the size of the heat pump you require. A larger heat pump will produce hot water quicker than a smaller system will. Thus, you may be surprised to find that some budget heat pumps can take up to 2 hours to recharge a tank of domestic hot water. This can be quite scary if your house is heated with radiators, as when a heat pump is heating your hot water, it cannot provide heating to you radiators at the same time. The effect of this is two fold. Firstly, you are often waiting a long time for your hot water tank to recharge after some one has used it for baths or showers. Secondly, whilst the heat pump is recharging your hot water tank, your home is cooling down. Thus, when the heat pump changes function and starts to heat your home again, the heat demand is high, and the heat pump requires the support of a flow boiler. Again, this is very costly and defeats the object of energy saving heat pumps. Thus, when choosing a heat pump, try to find one that can produce hot water in between 20 and 30 minutes without the back up of an immersion heater. The UK climate is not often the best for an air source heat pump. Whilst the air is often warmer in the UK than in Scandinavia, the UK suffers from damp air. When this damp air is passed over metal that is perhaps -5oC when the outside air is 0oC, ice very quickly forms on the evaporator. This ice, restricts the airflow entering the evaporator, and reduces the efficiency of a heat pump. Defrosting the heat pump can use a substantial amount of energy, and many use the heating from your radiators or buffer tank to perform the defrost cycle. A good air source heat pump should have a large surface area for collecting the heat energy, with wide fins allowing a good airflow over the evaporator. Additionally, do not be afraid to ask your installer how often the defrost cycle comes into effect. Try to avoid those that are on timers, or those that start on demand and run for a set amount of time. On average, these air source heat pumps can consume around 1000kWh of extra energy a year, which could cost between £120 a year over and above one with a demand only defrost cycle. There is a lot of debate regarding which is best, a scroll, or an inverter driven compressor. Research has been conducted in Sweden that indicates that over the course of a year, the scroll compressor performs more efficiently. However, inverter driven compressors can be an efficient solution. Still, there is still a very good argument for buying a heat pump with a scroll compressor, and that is the life span of the unit. Recently, some one described to me an analogy of how a scroll compressor works in a non-technical way. They suggested that if you held a light switch at the point of which it was about to switch on or off, you can cause the light to flicker. Accordingly, this is how a scroll compressor works. However, if you were to constantly do this day in day out with a light switch, you would clearly burn out the bulb. The same scenario occurs with an inverter driver compressor. People in the know suggest that a scroll compressor should have double the life span of an inverter driven compressor, which is perhaps something to consider if you are making a long-term investment in an air source heat pump. When buying a heat pump ignore the CoP. As I mentioned before, the UK has regulations that calibrate the performance of a heat pump when the outside air is 7oc, and the flow temperature is 35oC. Most heat pumps perform really well at these temperatures. However, what you really need to know is how the heat pump is going to perform over the year (the seasonal performance factor). Many factors will affect the seasonal performance of a heat pump. For example, I could put a quality air source heat pump with a CoP of 4.6 into a property with single glazing, radiators, and poor insulation and get a Seasonal performance factor of 2.5. I could then install the same heat pump into a new build, with underfloor heating and get a seasonal performance factor of 4.2. Thus, clearly the characteristics’ of your building, and your heating system will effect the actual performance of your heat pump A good heat pump installer of a quality product will be able to provide you with a demonstration of how the heat pump could perform over the year, and give you an indication of the running costs. Whilst this demonstration will never be 100% as they wont know how many baths you will take, or how often you will open your doors and windows, they will provide you with a good indication of performance. The energy savings trust did an evaluation of air source heat pumps and found that performance varied substantially from one product to another. Thus, do not be afraid to ask your installer about the seasonal performance of your heat pump. Finally, ensure you use an experienced installer. A heat pump is simply a method of transferring heat from one location to another. This uses a temperamental refrigerant cycle, electronics, and hydraulics. Consequently, your heat pump installer has to have knowledge of all these factors to understand how your system will work, and ensure the system is perfect for your needs. An example of this is the temperature differentials around the refrigerant cycle (called the Delta T’s). Should these Delta T’s be wrong by 2 degrees on the refrigeration system, the heat pump can use around 1000kWh more than it should do, costing you around £120 a year more to run. This can be quite scary when you think that the Delta T’s are controlled by simple circulation pumps. Thus, it is really worth ensuring your installer has the pre requisite knowledge and qualifications to ensure your heat pump and the heating distribution system it is using is performing perfectly. That way, with a quality heat pump, designed specifically for your building, and installed correctly can save you a substantial amount of money. In addition to that, you will have the peace of mind that no matter what the weather conditions, you will always have a warm home, a small energy bill, and loads of hot water. Many thanks for your response Tony, very informative. Clearly you are an expert in the heat pumps arena, and I am glad you have elaborated on my article – interesting reading for the consumers no doubt! 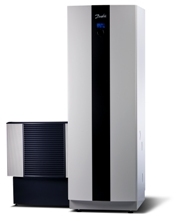 Does anyone have any experience with a Grant Aerona Heat Pump. I am considering buying their 15.5KW model.to run radiators in a property in Spain (so ambient air better than UK but Spanish homes are porrly insulated). Any views on performance and reliability would be appreciated. Hi everyone, just feel like i have to share my experience.My husband has insisted to put an air source heat pump in our house 18 months ago.I was really really apprehensive about it and didnt expect it to deliver the promised results. But I have to say this is one of not many things my husband got right. Our bills went down from £2000 to £700 per year (previously on oil). Not only that, the damp patches we had in our bedroom have gone, apparently due to the way our home is now heated. We are always warm and hot water always available.I cannot imagine now not having it in our house. Im not really that bothered about COP, its the warmth and saving money I appreciate. I in no means want to advertise any company but give credit where its due. We bought a Husky heat pump, I dont know which type, sorry. Good luck with your venture in Spain. From reporting on how the company does in fitting the heat pump and underfloor heating to my electric bills. I’ve just commissioned Husky and its being installed tomorrow – will keep you posted on how good it is. I went for them over others because of the guaranteed heating costs that they provide – also very comparable on cost. Plus i like the idea that they make and install only their own kit so people couldnt end up blaming other people. Can you elaborate what issue’s you had, and if they have been resolved ?